We posted about the Cole Haan Lunargrand a while ago now, and we got a tonne of positive feedback...and a lot of inquiries for purchasing info. You see, we were so early to the party that at that time you couldn't find them online. It has been such a smashing success, combining an exaggerated brogue upper with the Nike Lunarlon sole, that these things have really taken on a life of their own and are now available to the masses. 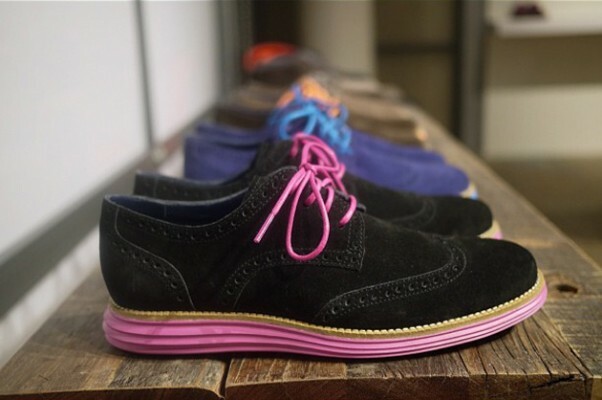 Cole Haan has just dropped some new very fashion-forward colourways, and they are available now via the think below.